Twilio Inc. ( TWLO ) declined 4.5% in premarket trading after fourth-quarter revenue topped analysts' estimates but earnings fell flat and it issued a weak profit outlook for the first quarter. The cloud communications company reported revenue of $204.3 million in the quarter, a year-over-year increase of 77%. The company's fourth quarter continued a trend of strong revenue growth at Twilio: Its total revenue for full-year 2018 was $650.1 million, up 63% from the previous year. 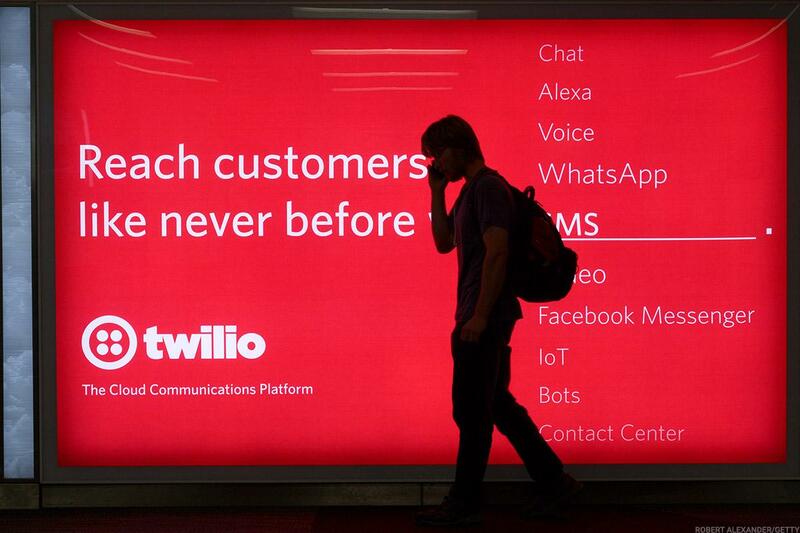 In an interview on Tuesday with Real Money , TheStreet's premium site for active investors, Twilio CEO Jeff Lawson and Chief Operating Officer George Hu discussed Twilio's recent progress in breaking out of a tech and app-heavy customer base. Bullish analysts point to Twilio's positioning in the growing cloud services market as a predictor of future growth in the stock. "They're really the foundation that are enabling real time communication between both the business, customers, and clients," said Action Alerts PLUS portfolio analyst Jeff Marks on a call with investors in January.